Russian airport holding Basel Aero may sell off Gelendzhik airport to focus on developing its other airports – in Sochi, Krasnodar and Anapa, which serve more passengers, RBC newswire reports. In turn, Russian Federal Antitrust Service (FAS) has already granted approvals to government-owned VTB bank and its partner, Russian businessman Taymurz Bolloyev to acquire equal 49.5% stakes in Gelenzhik Airport. The announcement of the potential sale of Gelendzhik follows in less than a week after economic sanctions were imposed on Oleg Deripaska, the owner of Base Element, which holds a 51% stake in Basel Aero. However the airport holding denied “any connection with the sanctions” claiming the sale was “aimed at further business development”. 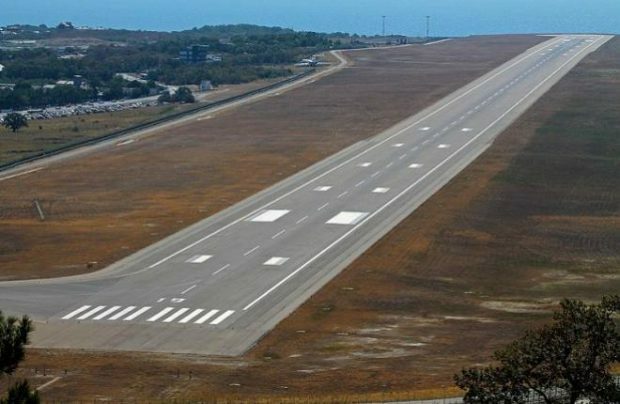 The company explains that it has been looking for options to shed off the management of Gelendzhik for some time now, in order to focus on development of its larger airport assets. VTB explained its interest for the airport assets by the expected traffic growth in the region. So the bank is viewing the asset as a “long-term infrastructure investment” and plans to embark on development of the airport once the transaction is closed, which is expected in the near future. The amount of the contract has not been disclosed. Notably, VTB-associated structure, VTB Capital is one of stake-holders in Northern Capital Gateway, which manages St. Petersburg’s Pulkovo airport. In 2017 Gelenzhik airport handled only 304,000 passengers (up 11% year on year), whereas Anapa handled 1.364 million passengers (–4%), Sochi 5.692 million passengers (+8%), and Krasnodar 3.498 million passengers (+17%). In the first two months of this year, Gelendzhik demonstrated the highest growth rate of all of Basel Aero’s airports – it handled over 4,200 passengers, 38% on the same period last year. In February, the head of Basel Aero Leonid Sergeev told that a massive reconstruction project at Sochi airport had been completed in 2013, and in 2017 a new passenger terminal had become operational at Anapa. In the beginning of this year the company launched infrastructure development project at Krasnodar airport. The timeframe for the project is between 2018 and 2022. Gelendzhik airport was not mentioned in this report. However, certain improvements are underway at Gelendzhik as well. By the middle of last year the capacity of the check-in area was increased from 200 to 320 passengers per hour. The taxiway was resurfaced and construction of a new terminal is being considered. Earlier Basel Aero abandoned its original plan to transform Gelendzhik into an international airport. The company explained that its priorities were “improving passenger experience on domestic lines, expanding route network and boosting traffic in the low winter season”.